(updated 8:42 PST) — The quantity vs. quality debate is perpetual in the worlds of digital marketing and SEO. But there’s one fact that cannot be denied when it comes to blogging: frequent publishing on company websites increases the chances of acquiring new customers. All blog content is not created equal however. Its difficult to determine how many blog posts are published everyday in the world. WordPress powers 26% of the internet and holds a 59% market share for content management systems, according to W3 Techs. WordPress users publish 84 million new posts per month, or about 2.8 million per day and over one billion per year. I’ve personally written well over 2,000 content marketing blog posts for various companies in the last seven years. At least 90% of them were between 550-800 words. The question “what would you say is a good average word count for a blog post” on Quora has a top answer that suggests 750 words is “ideal.” The next two answers say “500-750 words” and “300-400 words” respectively. Hubspot’s 2016 State of Inbound Marketing report found that roughly 80% of company blog posts are less than 1,000 words. Publishing frequently on your company blog positively correlates with the number of leads that turn into paying customers, as referenced above. 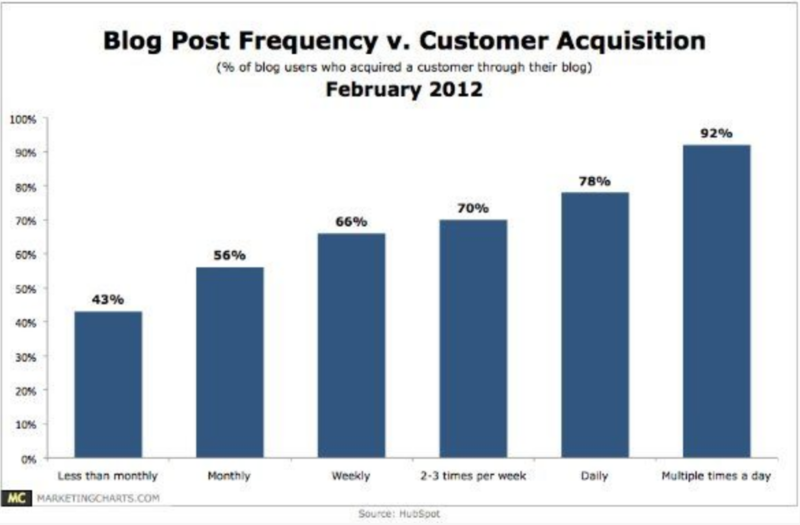 Quick, simple blog posts fill the quantity aspect of company blogging. But all those short posts are clumped together with billions of others trying to get recognition from Google and potential customers. Blog content requires more depth (i.e. more words) to stand out from the crowd and to establish your company as an industry authority. A 2012 study by serpIQ analyzed 20,000-plus keywords and found some telling trends regarding search engine rankings. The top five results for the keywords averaged over 2,300 words, and all of the top 10 results averaged over 2,000 words. The age of domains also played a role in search rankings, with 55% of the top three results being on websites that were at least 10-years-old. 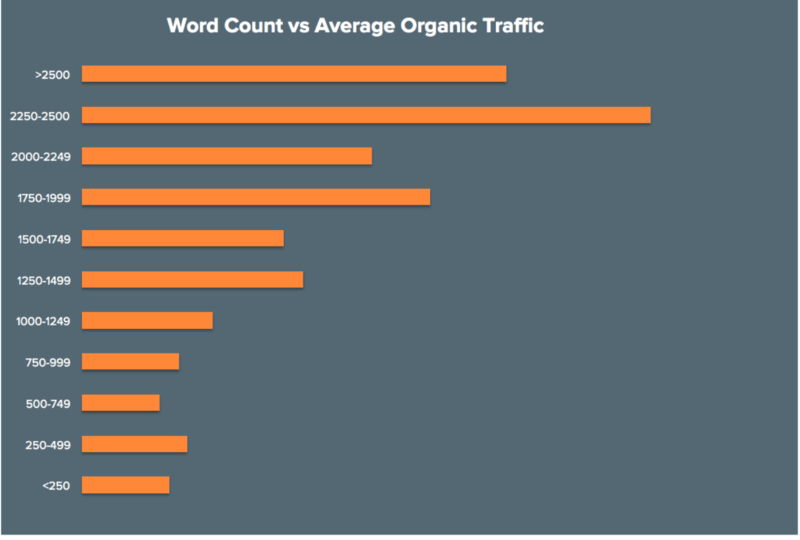 A more recent analysis by Hubspot found that blog posts between 2,250 and 2,500 words got five times more organic traffic than posts with 1,000 words or less. Longer is better for SEO, but not necessarily for lead conversions. 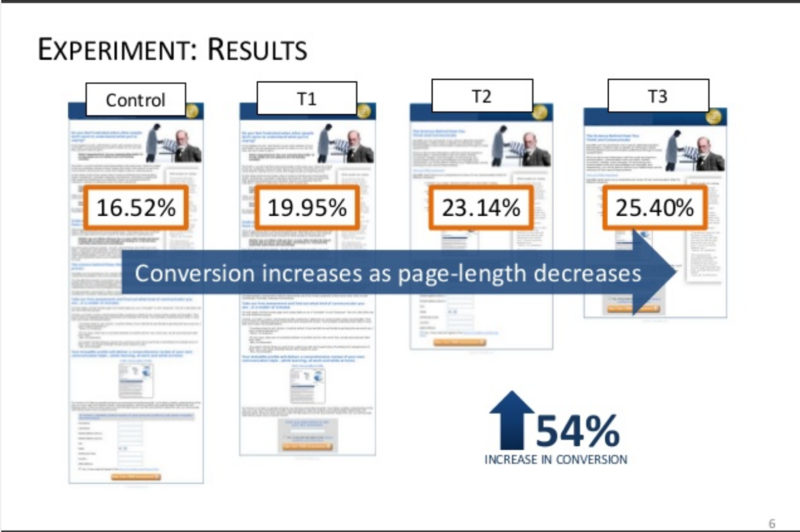 A 2013 experiment by MECLABS managing director Flint McGlaughlin ran a series of tests on lead conversions when readers are presented long-form versus shorter content. A key finding was that content presentation – the way its displayed on screen – played a role in conversion rates. When it came to landing pages, fewer words resulted in higher conversions for a company that offered free psychological evaluations. Shorter copy was also effective for company landing pages asking for email addresses for subscriptions and to get discounts on certain products. But long copy was more effective when readers were asked to make more difficult decisions. 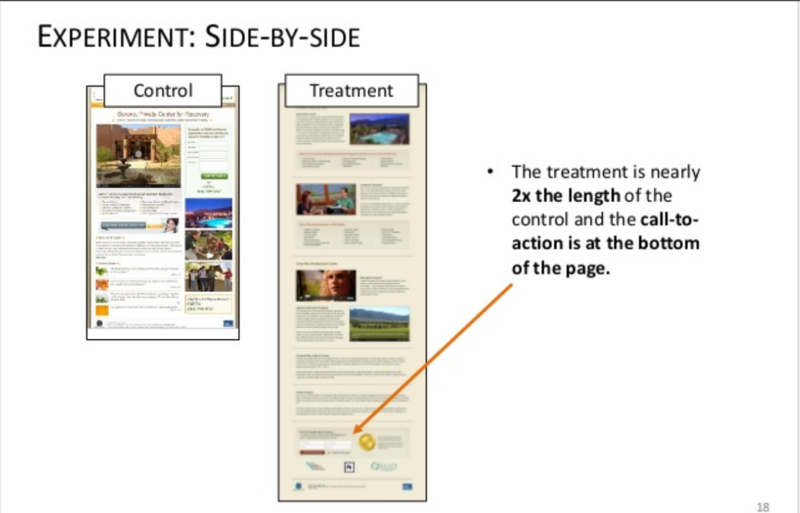 A second test measuring conversions for a mental health and addiction center found that longer copy with the call-to-action at the bottom of the page had a conversion rate of 2.48% vs. .78% for the control (shorter, clumpier) copy: a 220% difference. Dr. McGlaughlin concluded that decreased friction (anxiety) related to the decision, increased lead conversions. Sequential, comprehensive , descriptive content soothed and supplemented the mental effort. Long-form copy for the mental health facility created a value proposition in the beginning and continued to carefully build trust and explain to readers the benefits all the way until the call-to-action. A decision to add your email address to a newsletter list is much easier than deciding whether to have a mental health facility contact you. Shorter copy is effective for lower anxiety decisions; while detailed, sequential copy works best for more complex, expensive buying decisions. Its disingenuous for anyone not working in one of Google’s 68 office locations to claim expertise regarding the company’s search algorithm. Google literally makes changes to its algorithm everyday and rarely provides specifics as to what the changes entailed. Granted most of the changes are small tweaks that likely won’t negatively effect the current SERP (search engine results page) rankings of your blog. But you don’t have to be a mathematics and computer science nerd to understand Google’s ultimate goal. For those unfamiliar, Google’s search algorithm is the sequence of calculations performed to determine hierarchy of search results for long-tail and single keywords. There have been several major updates to the algorithm in the last seven years. The Panda update (also known as the “Farmer update” to SEO folks) in February of 2011 was the first one to hit spammy, shallow websites hard. All those formerly high-ranking articles written by college students for $.01 per word were removed from first page results. Some of the reasons included, but were not limited to, grammatical and factual errors, one-sided opinion pieces, keyword stuffing and randomness of topics not relevant to the website itself. The Penguin update in February 2012 took things a step further. It dinged websites that used blackhat SEO techniques to push themselves up Google rankings. A common SEO practice before Penguin was paying established websites to place links to your site in already-existing blog posts that ranked highly for certain keywords. 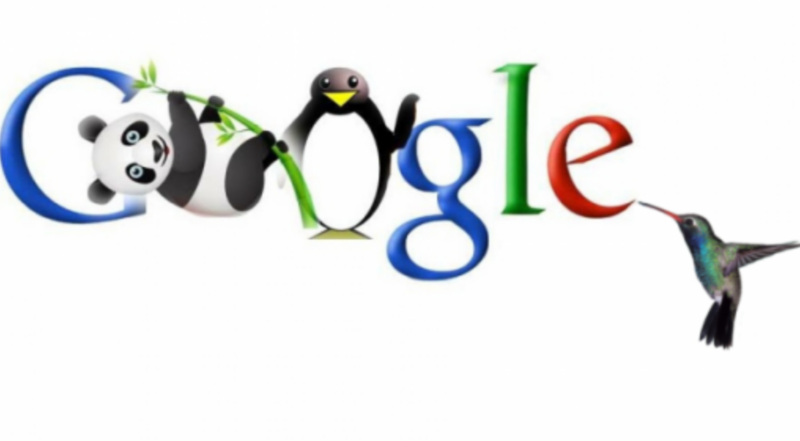 The unnatural authority and credibility gained by these backlinks were considered violations of Google’s terms, resulting in numerous websites being de-indexed for varying amounts of time. Google Hummingbird went live sometime in August of 2013. It was a complete overhaul of the old algorithm instead of just updating a few things. The general understanding is that Hummingbird wanted to better understand what exactly users were trying to find. Language recognition via verbal queries on smartphones, along with long-tail keywords becoming more common, motivated Google to understand the context of words instead of just knowing all possible synonyms. Amit Singhal, former senior vice president of Google, told reporters at the official unveiling of Hummingbird in September 2013 that the new algorithm made it possible to find what you’re looking for without exact keywords. Search queries were getting longer and more ambiguous, and Hummingbird accommodated this new phenomenon. Several more updates, including Pigeon, RankBrain and Possum, have been publicly acknowledged by Google since Hummingbird. These updates mostly focused on providing better localized searches, artificial intelligence to better understand user behavior, and diversity of results based on user location. “Fred,” launched in March of this year, is the most recent, confirmed update to Google’s algorithm. Google has not provided many specifics as to how Fred affects SERPs. But early tests have shown websites with low-quality content and posts meant solely to generate revenue are being dinged hard. Though search algorithms are complicated to understand, there is a common theme with all Google updates. 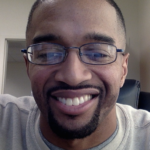 Seven years ago when I transitioned from broadcast and print journalism to content marketing, there was a lot to learn. Despite the continual algorithmic changes to search engines since 2010, one thing has remained constant as far as Google favorability: content quality. I did a guest post back in August of 2010 entitled “Eleventh Amendment is Unconstitutional; Must be Repealed” for a very obscure, anti-government website. It took a few weeks, but the post quickly became the #1 result for the keywords “Eleventh Amendment Unconstitutional.” If you search those same keywords right now, that article is still #1 seven years later over well-respected articles by Cornell University, University of California-Berkeley and Justia. Why? Its very factual, has videos and diagrams, and is published on a website that covers that type of subject matter (relevance). It also has 1,557 words (not the traditional 550-800) and the domain is nine years old. “Don’t count characters. Make your characters count.” Barry Feldman. 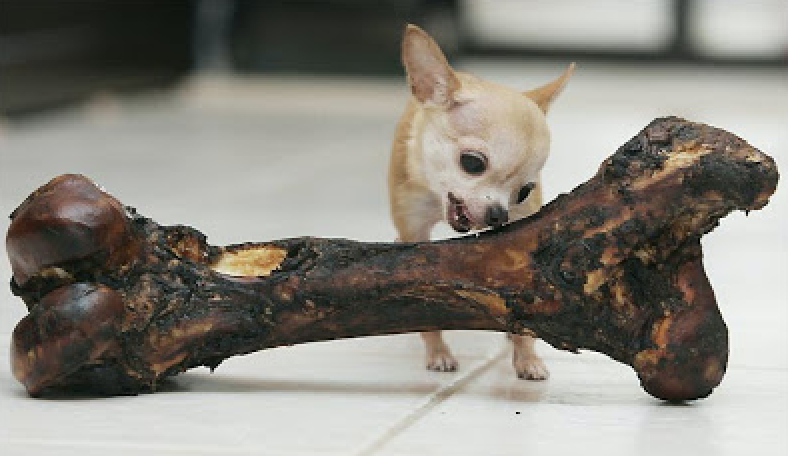 There are several considerations when deciding how long a blog post should be. Promoting your company’s forthcoming Memorial Day sale doesn’t require more than 550 words. But answering the question “how to buy and use bitcoins” likely requires a minimum of 2,000 words plus a lot of reassurance within the content to ease anxiety about a complicated subject matter. 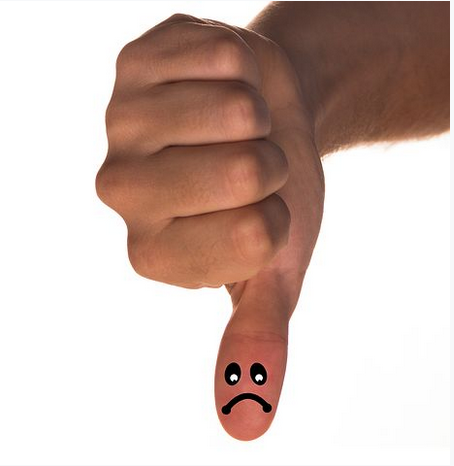 A general rule of thumb for writers is to simply write until you’re finished. Predetermined, forced word counts lead to fluffy, empty copy that neither Google nor your readers will appreciate. 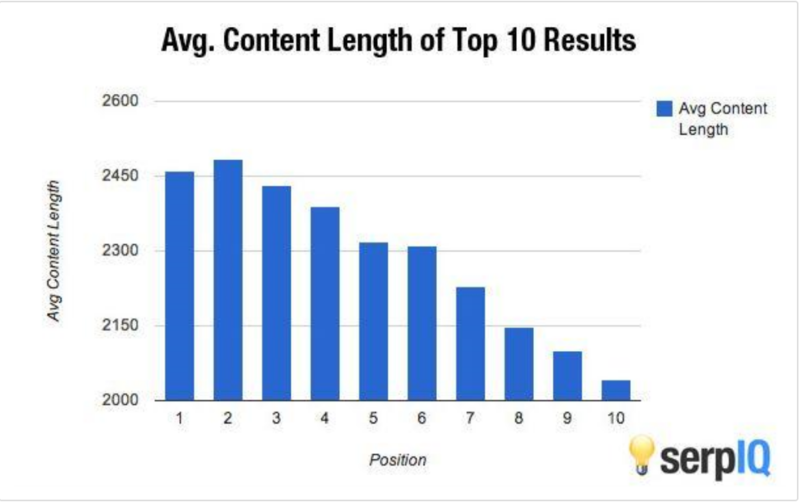 Long-form content is favored by search engines and is shared more often on social media. Frequent publishing of blogs is also favored by Google and readers. A mix of content is best for overall effectiveness. If you’re publishing five times per week (as all companies should be doing), at least one of your post should be more than 1,200 words. 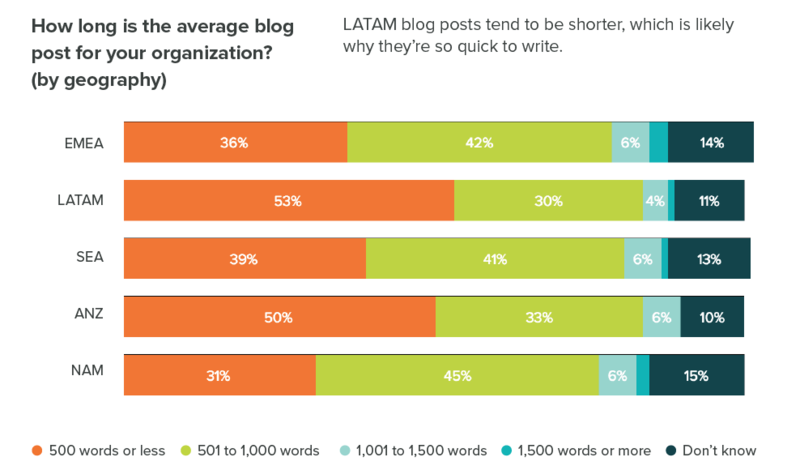 Writing long-form content is a daunting task for non-professional scribes, but a necessity for SEO and lead nurturing. Turn your content needs over to professional writers with good track records. Inbound marketing (blogging) cost much less than all outbound channels and yields three times more leads per dollar. Now is the time to address your marketing strategy and reap the benefits of both long-form and traditional content. Ready to start publishing long-form, high-quality content on your company blog? Check out our content packages and make sure to sign-up for our monthly newsletter in the left sidebar.